advertised event in Ghana with the focus to honor excellence in the media industry. This event is however scheduled for October 6, 2018 at the Accra International Conference Center. These artistes will however, perform live on the night to honor and celebrate outstanding achievers in radio and television in Ghana. After a hiatus from the music scene, hiplife star, Kwaadee is also expected to shut down the event’s ground with a nostalgic show. He has however assured patrons of nothing but an epic show to earmark his upcoming ‘comeback’ Europe tour. Meanwhile, tickets for this year’s Radio and Television Personality -RTP Awards has gone on sale at 100 cedis each. 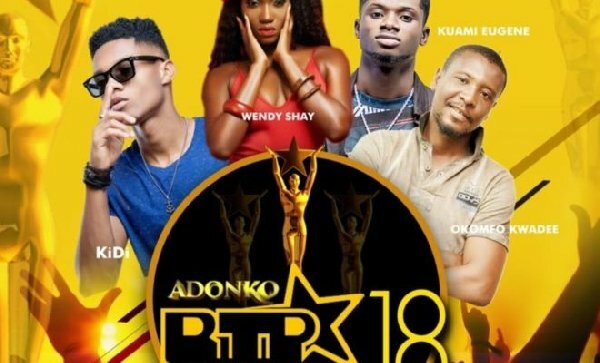 8th Adonko RTP Awards 2018 is heading your way with magical experience. This year, the red carpet starts at exactly 5pm fans can spot the experience on social media via the hashtag, #RTPAwards18, to see what your favorite celebrities and media personalities are slaying in. and you won’t want to miss their big moments. Nominees for this year’s RTP Awards were however unveiled about two months ago. Do make it a point to be there to cheer on your favorite stars as they are honored on the big night. Main event begin at 7pm sharp. Grab your tickets now!